The NHS singers are a now well known and popular voice. A choir of NHS workers came together to write, perform and produce this anthem in support of the struggle to defend the NHS from the onslaught of privatisation, with the attack on pay and conditions of its staff – notably the junior doctors and nursing students – as a key component of privatisation. Enjoy the video, and pass it on. And don’t forget to read WHY AND HOW our ruling class are planning to dismantle the NHS underneath! 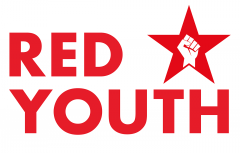 Red Youth urges everyone to show their support for the striking Junior Doctors and the NHS itself on the 24 hour strike this Wednesday, 10 February from 8am. Map below of official pickets. 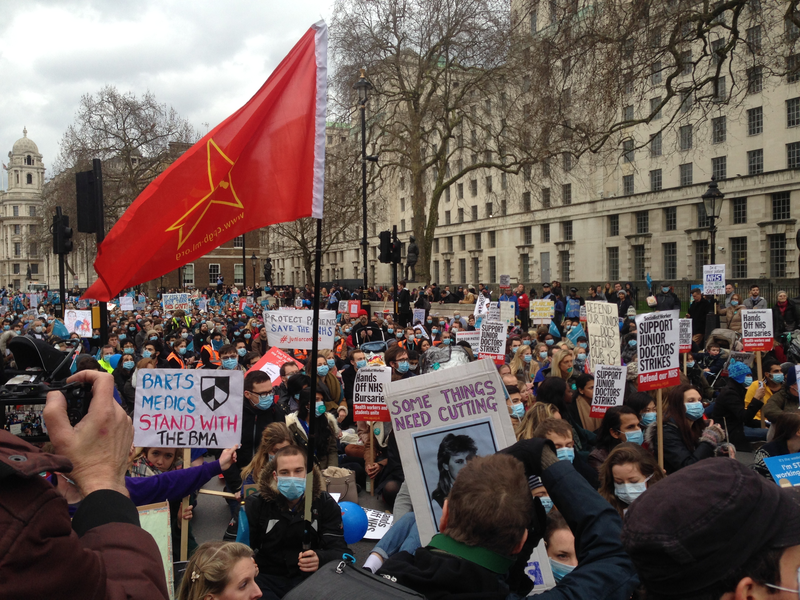 Doctors, nurses, medical students, other healthcare professionals, and members of the public took to the streets on Saturday to voice their opposition to the proposed new contracts for junior doctors, the third public demonstration against the changes. The protest started with impassioned speeches, songs, and some comedy from NHS workers and supporters, before a masked march to Downing St for a silent protest.